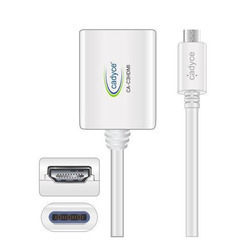 We are a leading Wholesale Trader of usb c to usb 3.0 a type female cable, usb c 3.1 to vga adapter, usb-c type accessories, usb c 3.1 to hdmi adapter with audio, usb c to usb 3.0 a type male cable and usb c 3.1 to gigabit ethernet adapter from Mumbai, India. Backed by a team of adroit professionals, we manufacture & supply wide range of USB C to USB 3.0 A Type Female Cable. These cables are networking type cables which are used for computer networking. With the help of our wide spread distribution network, we are capable to meet demands of cables in bulk. These Cables provided by our company has made an outstanding position in the industry owing to its excellent features like, high durability, high tensile strength, rugged design and many more. Reversible CType connector to plug easy. 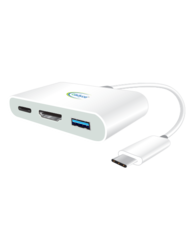 Owing to our team of experienced professionals, we have been able to manufacture, export and supply USB C 3.1 to VGA Adapter. 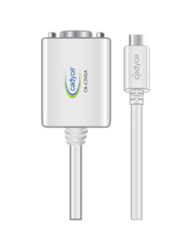 The offered adapter is designed by our experts as per the set international standards using high quality raw material and advanced technology. This adapter is tested with high precision on various quality parameters. Offered cable is used to connect with computer system for transferring the data from mobiles, cameras and various other appliances. 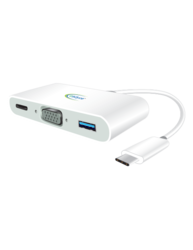 Our clients can avail this USB C 3.1 to VGA Adapter from us at very affordable price. Operating System Support Windows 2000 SP 4 , XP Home or Professional (Including Table edition) SP2 or SP3, Vista SP1 (32-bit or 64-bit) and Windows 7 / 8 / 8.1(32-bit or 64-bit), Mac OS. 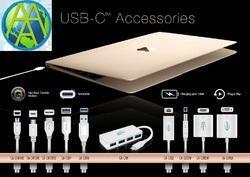 All Types of High Speed USB-C type Accessories for Laptops & Mobiles with 1 year Warranty. We take immense pride to introduce ourselves as one of the prestigious and progressive manufacturers of USB C to USB 3.0 A Type Male Cable. Economically priced, we offer an extensive range of cables which is available in different specifications and sizes. These cable wires are primarily used for CCTV, vigilance and security system. The high quality Usb to Usb Cable offered by our company are known for their durability, transmission accuracy and shock proof features. Size 74.4 x 21 x 16 mm approx. Following the legacy of our company, we are engaged in manufacturing, supplying and trading superior quality USB C 3.1 to Gigabit Ethernet Adapter. We offer a wide range of adapter which prove best connecting cables for systems like television signals, network signals, satellite and CCTV. The offered range of connection adapters are highly appreciated for properties like rugged design, dimensional accuracy, heat resistance, low maintenance and many more. 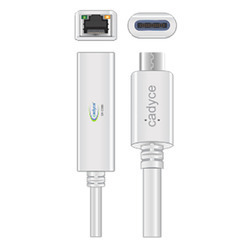 We have carved niche in the national and international market by providing best quality USB C 3.1 to Gigabit Ethernet Adapter at industry leading prices. Size (LxWxH) 74.4 x 21 x 16 mm approx. 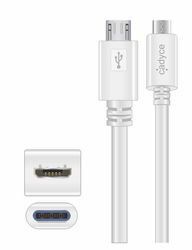 We are instrumental in offering a qualitative range of USB C to Micro USB 3.0 Male Cable that is compatible with high grade electronic devices. 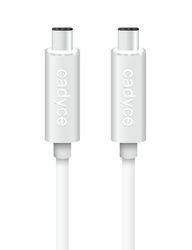 This cable is used in the various applications like connecting with various type of computers for receiving data speedily. The offered cable is manufactured using high quality raw material and advanced technology. 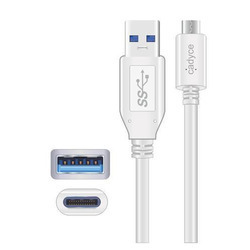 Our precious clients can avail this USB C to Micro USB 3.0 Male Cable from us in various dimensions at market leading prices. 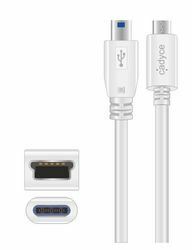 We are betrothed to provide the premium quality USB C to 5 Pin Mini B Cable. The offered cable is manufactured using the finest quality raw materials with the aid of latest technology under the stern guidance of our dedicated professionals. This cable is used to transfer the data from one media. In addition to this, our valuable clients can purchase this USB C to 5 Pin Mini B Cable in different specifications at rock bottom prices. We are involved in manufacturing, exporting and supplying excellent quality USB C to USB 3.0 Micro B Cable to our most valued clients. 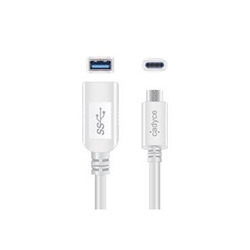 Our offered USB C to USB 3.0 Micro B Cable is widely appreciated by our clients which are situated all round the nation. 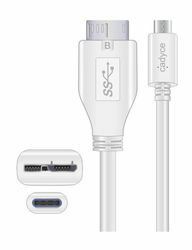 We offer USB C to USB 3.0 Micro B Cable at most affordable prices.